This Pressure Sprayer allows the user to conduct a professional style treatment with a thorough and even distribution of insecticide. Wand and hose with adjustable nozzle. Pressure Sprayers are both quicker and easier to use than a hand-held trigger spray, particularly when covering larger areas. The Pressure Sprayer is easy to pump and main and has a long adjustable spray nozzle for targeted and accurate application. 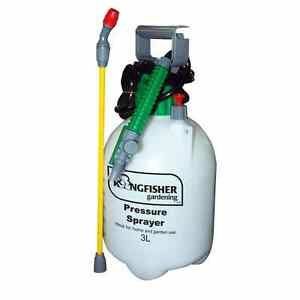 Fill the pressure sprayer two thirds full with insecticide, pump to create pressure and begin to apply to target areas for the treatment of flying and crawling insects. Fantastic pump action for heavy duty!! easy to use just fill it and pump and ready to go yes recommend! 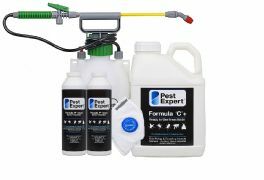 Pest Expert Formula 'C+ Silverfish Spray kills silverfish fast and leaves a residue that offers long-lasting silverfish control. This ready-to-use insecticide is safe for direct application to work surfaces, kitchen units/sinks, bathrooms and other areas of activity. A 5L container covers 100 sq m.